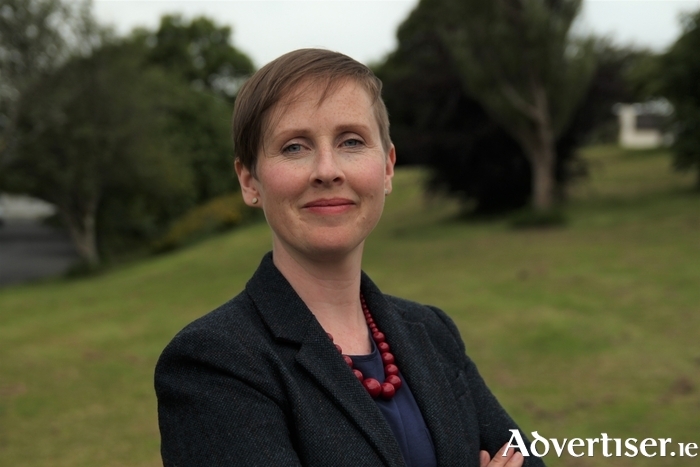 Green Party' Galway West candidate Pauline O’Reilly. In the aftermath of the 2016 General Election numerous politicians and political pundits continually warned, "There will be an election in six months". Some 20 months have passed in the meantime, with 2019 still being the likeliest date when voters will next go to the polls. However political parties are on a near constant 'election footing' as exemplified by the Galway Green Party's selection of Pauline O’Reilly as its Galway West candidate for the next General Election. An appointment of a candidate this early also makes sense as it allows time for the candidate to build up a profile and name recognition with the public. Ms O’Reilly is a qualified solicitor and chair of the Galway Steiner National School. She sits on the board of several other organisations in a voluntary capacity nationally and within the city. She says her priorities are "valuing equality and diversity within our community", a better model for transport in Galway, and sustainable development. “The time has come for a new approach to politics – one that values people," she said. "We are set to pay enormous fines to the EU due to our lack of commitment to dealing with climate issues and the Government has shown very little commitment to tackling the issue in a way that is fair to all." The announcement of Ms O'Reilly's candidacy follows the appointment in August of Colm Duffy as the Green representative for the Galway City Central electoral ward. Mr Duffy is the founder and auditor of the Climate Change, Agriculture and Food Security society in NUI Galway. He also directed the Fossil Free NUIG campaign at the university, where he is also researching climate change and agriculture. Grealish and Naughton's re-election made harder by constituency boundary changes? Pennies saved for lives lost?